In September of 2013 I was invited to speak to a group of farmers in Longmont, Colorado. They were curious about the imminent GMO labeling rules, the most recent threat to their freedom to operate as agricultural producers in Boulder County, a county where an affluent urban center increasingly meddles in the policies that affect rural families. The county harbors 25,000 acres of open-space agricultural land, leased annually to qualified operators. Decisions are made on the emotional rhetoric of people that believe in their hearts that activist websites, documentaries and books are a greater authority than generations of farmers and the deep scientific foundation that supports them. Most of the crop acreage exists under needed irrigation, obtained from local reservoirs. The space has been typically greened up by lower-water use crops like corn and sugar beets, which in recent years arise from genetically engineered seeds. Loud voices over in the Berkeley of the Rockies are not too happy about that, and new policy is shifting to impose urban lifestyle bottlenecks on the area’s historical agricultural production practices. Boulder County plans to restrict farmer seed choice based on politically-motivated, emotionally driven rhetoric that denies basic scientific facts. Area farmers united to have a more cohesive voice and argument, pushing back against county ordinances and arbitrary rules that curtail their access to this open space and the rules they must follow. Recently, affluent city dwellers have used post-truth emotional arguments to denounce scientific and agricultural experts, placing their Whole-Foods-informed truthiness above scientific evidence. The county has voted, 2 to 1, that genetically engineered crops need to be “phased out” of the county open space leased land over the next five years. During this time, the county will study if such resources are indeed as hazardous as local activists claim. Makes perfect sense. 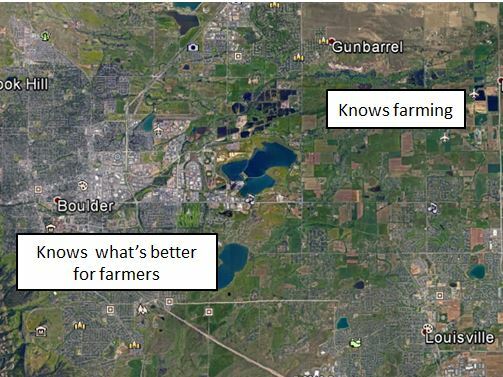 Perhaps Boulder County officials will find something that the world’s leading scientific organizations, thousands of scientists and millions of producers have missed. The purpose of this article is to raise awareness to the situation and to inspire a response from the broader agricultural community. Boulder County, like Hawaii, is home to significant sentiment that modern farming genetics and inputs are somehow immoral, dangerous, and should be eliminated. Public hearings and subsequent decisions are founded on the pleas of passionate citizens, convinced that they are being systematically poisoned by farmers and seed companies. Why is it important to take notice, share the story, and get involved? Because your operation might be next. Boulder County, Colorado is just one of several microcosms where concerned citizens are being manipulated by well-funded activist campaigns that manufacture fear. The goal is to affect policy, as is happening to these farmers. The situation is best told by area farmer Fameur Rasmussen Jr. He is a member of Farmers Alliance for Integrated Resources, an organization of area farmers that has united to present a codified voice to push back against invasive county politics. His Facebook post is a testament to the evidence-free decisions in agriculture foisted on farmers by those that know little about farming. Please take a few minutes and read it. It is exquisite. Science is not a democracy. Why is a County Board voting on if scientific evidence is true or not? It is an amazing hubris, and it only seems to be increasing as urban experts seek to impose their conclusions on ag producers’ freedom to operate. 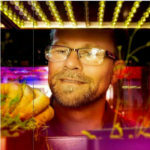 Dr. Kevin M. Folta, Ph.D. is a Professor and Chair of the Horticultural Sciences Department at the University of Florida. He is an expert on plant genomics and has been recognized for his communication outreach and advocacy on behalf of agricultural producers.